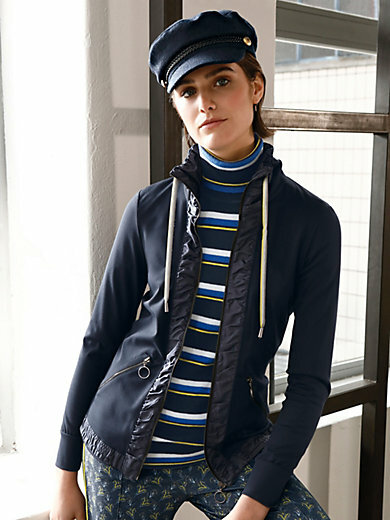 Jersey jacket by LOOXENT in a sporty chic look. Made from densely woven heavy jersey with subtly shimmering details made of 100% polyester. Stand-up collar with drawstring and tie band. Front zip fastener and 2 zipped pockets – all with a decorative metal ring. In 48% nylon, 40% viscose, 12% elastane. Length approx. 24ins. The jersey jacket is machine washable.